CP Sajjanar inspects strong rooms in Hyderabad. 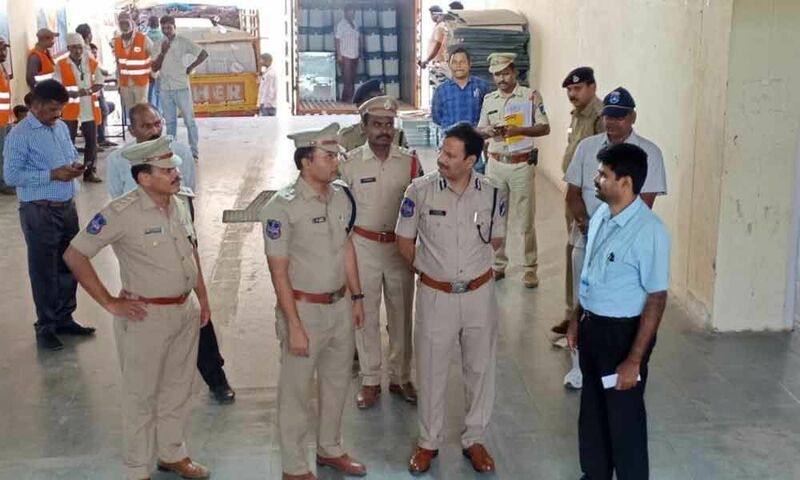 Cyberabad Police Commissioner V C Sajjanar along with the officials from the Election Commission and the district administration inspected the storage of Electronic Voting Machine at the Chevella Parliamentary constituency here on Friday. The EVMs have been stored in the strong rooms set up at Palamakula village in Shamshabad. The officials instructed the Central Reserve Police Force, Armed Reserve and Law and Order police on the safety and security of the strong rooms.